Become an integral part of a diverse team in the Mission, Cyber and Intelligence Solutions (MCIS) Group. 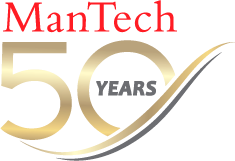 Currently, ManTech is seeking a motivated, mission oriented Principal Cyber Security Analyst, in the Clarksburg, WV area, with strong Customer relationships. At ManTech, you will help protect our national security while working on innovative projects that offer opportunities for advancement. As a Principal Cyber Security Analyst, the tasks will include analyzing all relevant cyber security event data and other data sources for attack indicators and potential security breaches; produce reports, assist in coordination during incidents; and coordinate with the O&M team to maintain all security monitoring systems are on-line, up to date, and fully operational. In this position, the skills utilized and preferred are most associated with those in SANS SEC503: Intrusion Detection In-Depth. Position Requires 7-9 years experience in cyber security analysis, incident response, or related IA/Security experience. Determine if security events monitored should be escalated to incidents and follow all applicable incident response and reporting processes and procedures. Ability to problem solve, ask questions, and discover why things are happening. Reporting outputs will be reviewed and approved to ensure quality and metrics are maintained. Responsible for tuning and filtering of events and information, creating custom views and content using all available tools following an approved methodology and with approval and concurrence from management. Notify the Customer of significant changes in the security threat against the Customer networks in a timely manner and in writing via established reporting methods. Provide support for the A/V hotline and appropriately document each call in an existing tracking database for this purpose. Coordinate with the O&M team to ensure production systems are operational. Produce daily/weekly/monthly/quarterly reporting as required by management. Maintain system baselines and configuration management items, including security event monitoring “policies” in a manner determined and agreed to by management. Ensure changes are made using an approval process agreed to in advance. Coordinate with appropriate organizations regarding possible security incidents. Conduct intra-office research to evaluate events as necessary, maintain the current list of coordination points of contact. Produce reports identifying significant or suspicious security events to appropriate parties. Include latest security threat information and tie back to specific intrusion sets of nation state actors when possible. Review and evaluate network modifications and recommend security monitoring policy updates. Establish procedures for handling each security event detected. Be able to create and add user defined signatures, or custom signatures, to compensate for the lack of monitoring in threat areas as warranted by threat changes or as directed by the customer. This includes creating content in Arcsight as needed. Maintain a network diagram depleting the relevant security checkpoints in the network. Develop and implement a methodology using Arcsight Use Case UML processes that identify procedures for correlating security events. Analysis should all be able to create custom content and develop new use cases to better correlate security event information. Develop and utilize “Case Management” processes for incident and resolution tracking. The processes should also be used for historic recording of all anomalous or suspicious activity. Identify misuse, malware, or unauthorized activity on monitored networks. Report the activity appropriately as determined by the customer. Maintain proficiency and skills through relevant training, conventions, conferences, and on-the-job training. Provide analytical support as needed for the overall projects and systems by working with engineers, O&M, and other personnel to ensure effective operations of all capabilities, piloting of new systems, and periodic updates to systems. Good interpersonal, organizational, writing, communications and briefing skills. Bachelor’s Degree in computer engineering, computer science, or other closely related IT discipline or Equivalent preferred and 7-9 years of related experience. Clearance Required: US Citizenship required and clearable to Top Secret - TS must be obtained prior to setting a start date.